Microsoft Scripting Guy, Ed Wilson, is here. 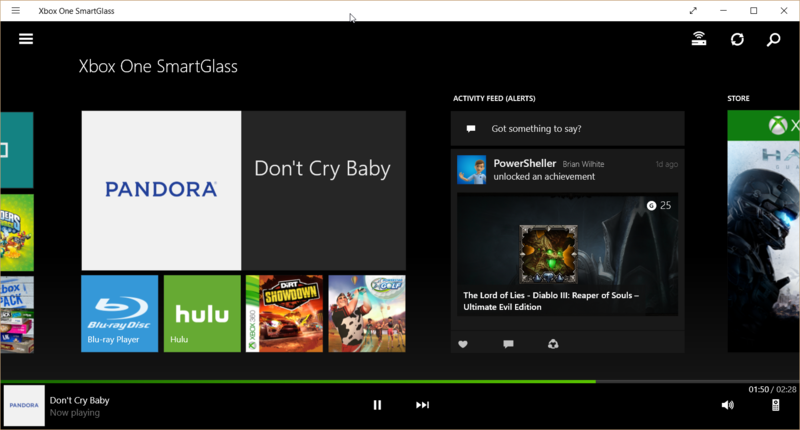 This morning I am playing with the Xbox One Smart Glass app on Windows 10. I have used the app since it was in beta, and I just got my Xbox One. But I have started using the Pandora app on my Xbox One, and I like to do stuff like mute advertisements, skip boring songs, change stations, and otherwise control the app. I click the little remote control icon in the lower-right corner, and it opens an Xbox controller emulator that permits me to completely move around and do what I need to do. When I am done, I close it. Because it connects really fast, I don’t worry about having access to it. I pinned it to my Windows 10 start screen, so it is available. Cool. Some things just work. Some things just work, and then there are some things that seem to remain a pain. Windows startup applications are such a pain point—at least for me. I recently installed a new printer (which did not seem to have a driver, and instead required a quarter-gigabyte monolithic installation, and once installed, immediately required updating…yeah I know, I am a whiner) and a few other things required for work. This morning I turned on my laptop, and behold! I was greeted with a notice that said I had so many startup applications that they were killing my poor three-year-old laptop…or words to that effect. Hmmm. It looks like some of the processes I disabled are still running. Bummer. But before I throw my poor little laptop across the room and possibly break something (other than my laptop), I decide to use another WMI class to investigate things further. 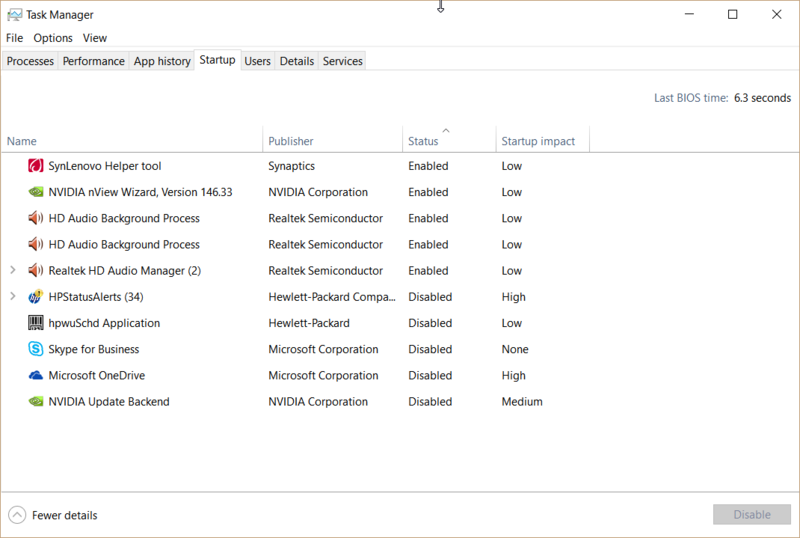 It appears that even though some of startup applications are listed, Task Manager is effectively disabling the apps. Cool. So sometimes things actually do work. 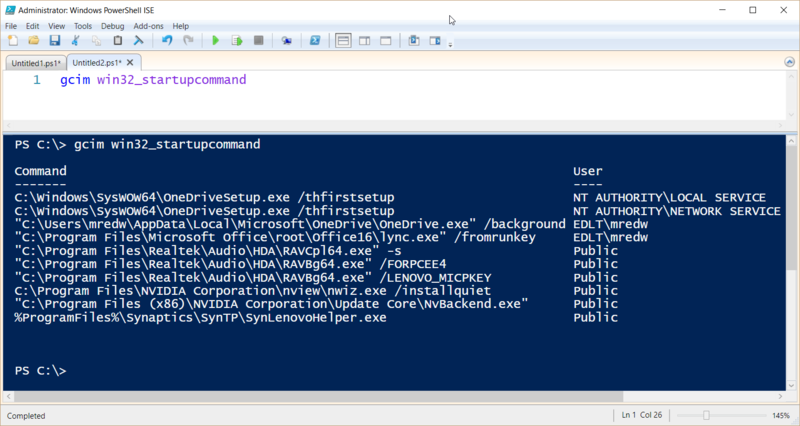 That is all there is to using Windows PowerShell to examine startup processes. Join me tomorrow when I will talk about PowerShell Saturday in Tampa.